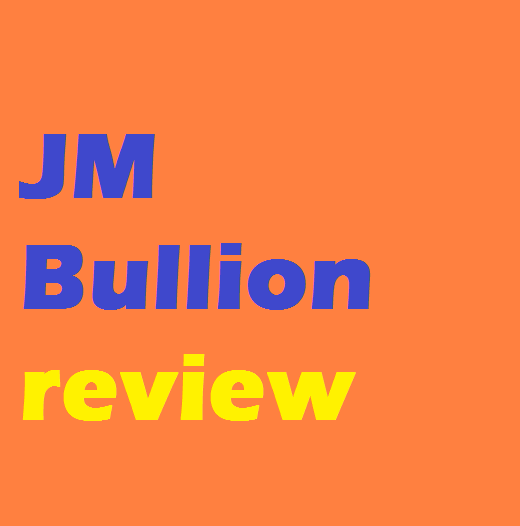 JM Bullion Review: Your Next Cash Cow? The JM Bullion is an online company that offers physical gold, platinum, silver, and copper to individuals. They only deal with quality physical metals to be delivered safely to their customers. The online retailer has been around since 2011, and has received a BBB rating for its effective and efficient customer support. This article will give all the necessary information about the company that all its potential and existing customers should know. Read on. Launched in late 2011, JM Bullion was founded by two entrepreneurs, Jonathan and Michael, who share the same passion for precious metals. They both saw the untapped needs in the retail precious metal market that other retailers fail to meet. These include a user-friendly website, investor-friendly features, and a dedicated customer support. They all matter a lot to customers whenever they shop online, especially for items that are as expensive as physical silver and gold. The company has a full catalog of silver, gold, copper, and platinum items. The catalog is kepts consistent and simple to allow for better understanding of the products. The company was also able to meet the accreditation standards of the BBB, meaning they commit to resolve any customer complaints the soonest possible. The first thing to do before you can purchase from the website is to set up your own account. There is a Register link found at the top of the page, beside the Cart icon. Simply provide the information needed to register, and you can start placing an order. Varies: Bars that are “Mint Varies,” meaning the items were not minted by any specific company or mint. You can expect to receive exactly what you have ordered from your preferred brand. Specific: This one allows you to receive products from a particular mint or brand. Each product has a condition indicated on the product specs tab, as well. There are four conditions that you need to check: brand new, varied or lightly circulated (previously sold and bought a few times), brilliant uncirculated (flawless items), proof (more expensive coins minted using unique presses and dyes), and graded (PCGS- or NGC-graded coins). You will also find the year specified on each coin under the product specs tab, which can either be labeled as Varies (coins from years of their selection) or Specific Year (coins guaranteed from a specific year). It is crucial to know these terms to ensure that you order the right item/s. The prices are determined based on the spot prices of silver and gold, in addition to the premiums for every item. The spot prices are provided by various sources, and are extremely accurate. This means the price can change every second, so you will have to place your order as fast as you can to lock in the price. The price lock is given once you advance to the Checkout page, which is specified on the right side of the form. The prices will be held for only ten minutes as you complete the transaction. If it took you more than ten minutes to complete the checkout, the website will give you the chance to select the new prices before finalizing your orders. JM Bullion offers four payment methods for customers: PayPal, paper check, bank wire, and credit or debit card. You will need to supply your credit or debit card details when you pay through bank wire transfer or paper check to lock in the pricing. The company guarantees that your card will not be charged. Other payment methods will automatically lock in the price at checkout. The premium on each item is based on the mint of origin, its uniqueness, and the design. The selling price is determined based on the price for which the company bought the product. This is why the prices fluctuate. The company does not collect sales tax. All orders worth more than $150,000 are advised to contact the company to lock in the pricing over the phone. Your transaction is labeled “Pending” until the company’s bank has already received the payment, at which time the status will become “Paid.” You will receive an email confirmation once the payment has been received. Simply login to your JM Bullion account to check your order’s status anytime. The insurance and base shipping are all free on all orders. Customers can either choose the free shipping service or upgrade to their preferred method upon checking out. The company only ships to USA addresses. Each package is covered by a full shipping insurance, meaning it entitles you to a full refund in case your package is lost or damaged during transit. All JMB products are authentic. Most of the products are brand new, while those obtained from individual sellers undergo a thorough inspection before being resold. The company ensures that all products are minted by reputable companies. The company has a refund and exchange policy that is offered within five business days from receipt of item. All handling and shipping fees are non-refundable. A restocking fee of five percent will apply to any exchanged or returned item/s purchased via credit card. All product images posted on the website are only sample images. It means that the images may not match the product/s you ordered. This is true especially if the item is listed as Brand Varies. The growing list of happy JMB customers will tell you that the company is reliable. All items are guaranteed authentic, and the company has a solid customer support for your questions. With a user-friendly website and transaction, JM Bullion is definitely worth considering.